Still trying to figure out what your wedding style actually is? Our Special Event Coordinator, Marvin Henderson, can give you many ideas how to create a unique wedding reception (even with a small budget). He can help you to discover your wedding vision—but he also gets in touch with your preferred vendor contacts and makes sure that everything goes smoothly - as you envisioned. It's incredible what a little fabric can do. Keep it formal and elegant with white fabric, or if you prefer a fun vibe, opt for a bright color like red or blue. In this way, you can go with some minimalist table décor and still get the same decked-out reception look. Would you like to save some money but still enjoy the beauty of amazing décor - than go with the seasons. 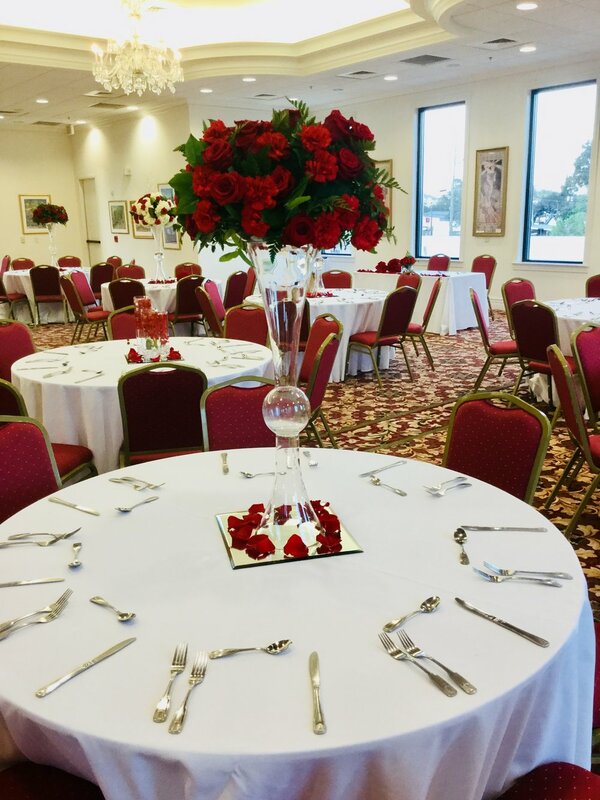 If you plan to have a small reception than use our beautiful space on the first floor. Every Christmas, we decorate this space with warm colors and make it even brighter than it already is. The extra money would allow you to focus on other details of your special event. 3. Are you into...GLAMOUR…than this is the perfect space for you! Celebrate in an elegant setting with real crystal chandeliers. You can enhance its beauty with additional crystal-like structures. 4. Just a chair? Use it as part of your decor. Think chairs are just for to sit on? Think again. Integrate the colors of the space into your decor and keep your expenses low (as the chairs are included in our rental packages). You can also rent some chair covers or different chairs to create a completely different environment. Our flexible Special Event Coordinator helps you to create the right atmosphere for your Special Day! Do you love music? Do you know someone who plays piano? 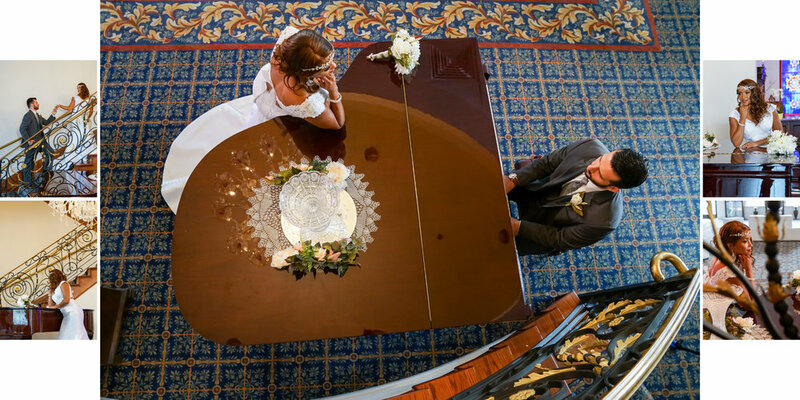 Take advantage of our beautiful pianos and make it part of your wedding décor. It is also a beautiful piece for your romantic photo shoot before the guests arrive. Read more about great photo shoot spots at our venue….